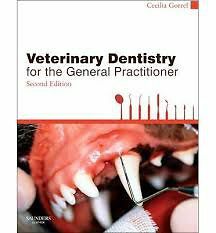 The new edition of Veterinary Dentistry for the General Practitioner has been thoroughly revised and updated to ensure it continues to meet the needs of todays veterinarians and veterinary students. The book offers all the theoretical knowledge and practical help any general practitioner needs in order to practise good dentistry, providing comprehensive and detailed knowledge of how to diagnose, prevent and treat common oral conditions in the dog and cat. It also presents information as to diagnosis and initial management of less common diseases, where the ultimate treatment will generally be performed by a specialist but the general practitioner needs to be able to identify a problem and have a basic understanding of the pathophysiology of the tissues involved. Dental conditions of lagomorphs and rodents are also covered.